A handout photo of a booking photo provided by the Tampa Police Department on 24 May shows Devon Arthurs, 18, who reportedly held three people hostage in a smoke shop after killing his roommates in Tampa, Florida, USA on 19 May 2017. 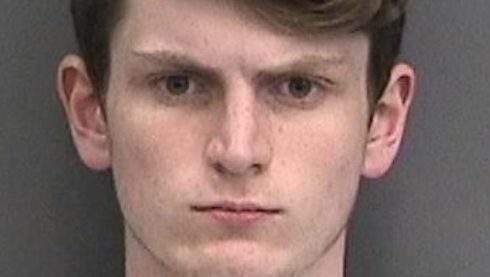 According to reports Arthurs was a neo-Nazi who converted to Islam and killed Jeremy Himmelman, 22, and Andrew Oneschuk, 18, who shared neo-Nazi beliefs, because they disrespected his new religion. Arthurs has been charged with three counts of armed kidnapping, two counts of aggravated assault, and two counts of first degree murder. Edited by Pertazeta, 05 June 2017 - 11:32 AM. Nah, it's more likely those two forgot to take out trash and that dude had enough of their sloppiness.